Looking for that extra special birthday celebration? Bored of the same old same old? 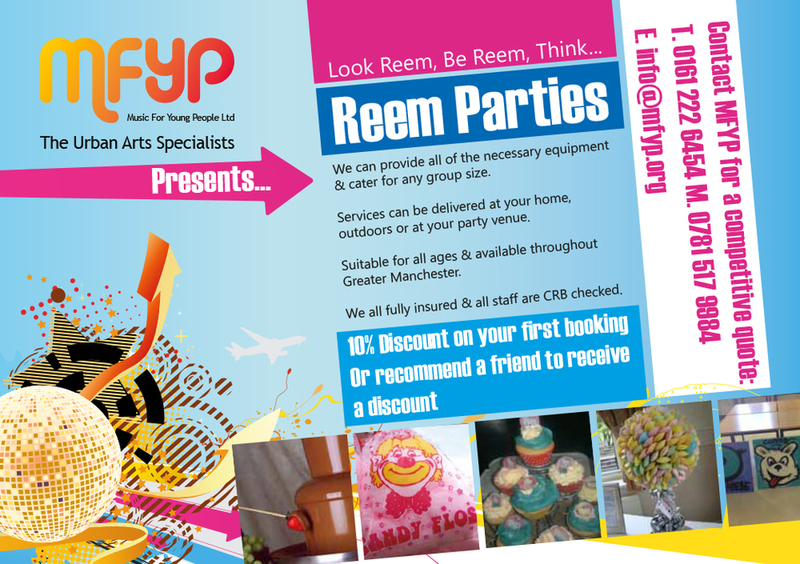 Our Reem Parties team can provide you with unique birthday packages to suit all ages and your budget. This can be delivered at you home, function room or at our own venue in Bury. Graffiti Art Tuition: Trainers, T-­shirts , Canvasses or Boards. DJays and Tuition: Mix, Scratch and Design CD’s. Street Dance Tuition and Bollywood Dance. Hula Hooping Tuition. Arcade Machines & Pool tables. 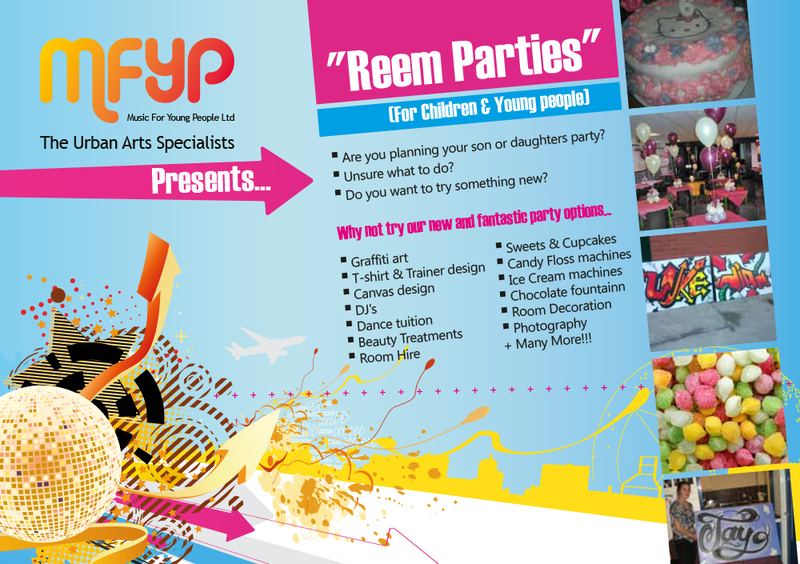 We can also provide Ice cream, Candy Carts, Candy Floss, Cupcakes and Hot & Cold food. Contact us for prices, room availability and group sizes.